1949-1960 Lecturer in Mechanical Engineering at the Ballarat School of Mines (SMB). 1952 Became an Associate Member of the Institution of Engineers, Australia. The institution converted the whole class of Associate Member to Member in 1968. 1960-1964 Vice Principal at SMB under Principal Harry Arblaster. 1964-1976 Appointed Principal of SMB (at that time a multi-level Technical College). 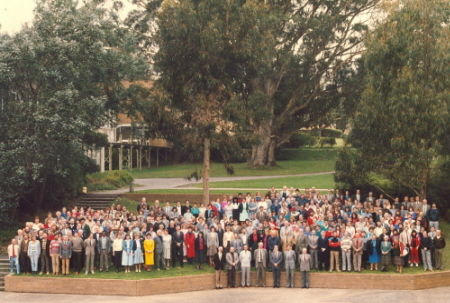 1966 Became a member of the Australian College of Education (MACE). 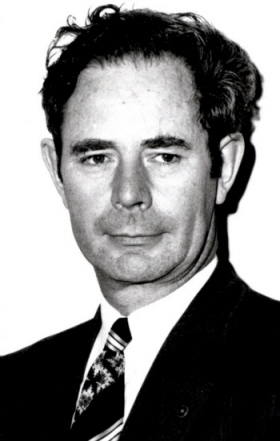 1976-1987 Foundation Director of the Ballarat College of Advanced Education (BCAE). 1976-1994 Member of SMB Council. 1987 Retired. Appointed to the Council of SMB (then a TAFE college), and in 1991 was elected President. 1991 Awarded the Medal of the Order of Australia for service to education. 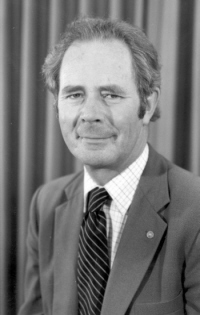 Born at Williamstown in 1927, Jack Barker studied mechanical and electrical engineering at Footscray Technical College, and was dux in each year of the class. He entered Melbourne University on a scholarship, graduating in 1947 with second class final honours. He then entered the faculty of Education obtaining his diploma with final honours. Widely recognised as being one of the outstanding principals of his time, Mr Barker is a distinguished figure in the history of SMB. He is held in high esteem by all those who know him for the outstanding contribution he has made to education in Australia, and Ballarat in particular. Mr Barker had an enviable record of contribution, and was known as a quiet achiever. While in charge of SMB and BCAE there was a major expansion of enrolments and staff numbers; the first degree course was offered to Bachelor and Master levels; land was selected and acquired at Mt Helen to development into a modern Higher Education campus; and the former Teachers' College amalgamated with the Advanced Education division of SMB to create the Ballarat College of Advanced Education. The SMB Council appointed Jack Barker its 13th President in 1991, recognising him as the first former principal of the College to be appointed as President. His service and contribution was extremely important to the College during the time of rapid expansion and development. His wide experience in education and his ability to clearly define complex issues was an invaluable asset to the deliberations of Council. In 2005 Jack Barker received an Honorary Doctorate from the University of Ballarat. At that time he told 'The Courier' that he was filled with a sense of gratification and pride to see the university he helped to create, flourish. "I'm very impressed. My impression is that this is pretty much the kind of thing we hoped for when we turned the first sod all those years ago." During his long career Jack Barker witnessed many changes at the School and College. Of the many events, classes, people and proposals Jack Barker told 'The Courier' that the one that stood out was the day he and a colleague walked through a Mt Helen paddock looking for the site for a new campus. "When we bought it, it was simply a farm: bare paddocks, one house, lots of barbed wire fences, some trees and a few hundred sheep.' The site was purchased for $64,000, the University developed. Jack Barker now sees the University of as integral part of Ballarat.